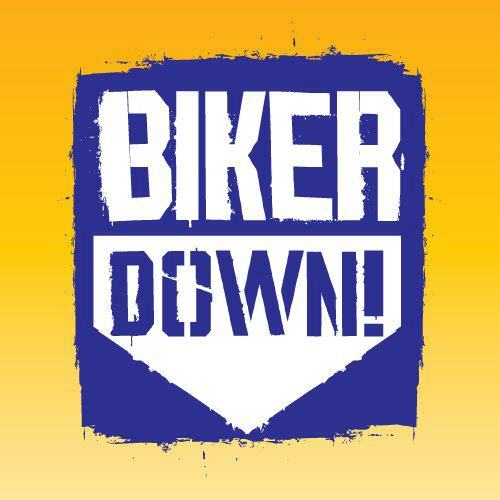 Sign up for a Biker down course today! BikerDown! South Yorkshire is a FREE two-hour session aimed at providing all motorbike and scooter riders who live or ride in the county with basic first-aid skills and awareness of road traffic collision management. The two-hour session is both classroom and practical based, giving you the awareness if you’re first on scene at a collision of how to manage the area for everyone’s safety, and provide basic first-aid skills if needed. While themed around a collision involving a rider, the skills and knowledge are equally as useful if you come across any vehicle collision whether four, three or two-wheeled. For example, as a rider you are more likely to filter through stationary traffic and be confronted with a collision as the reason for the build up, or come across an incident on remote country roads. BikerDown! South Yorkshire is based on the hugely successful initiative originally devised by Kent Fire & Rescue Service, with advice and guidance provided by South Yorkshire Fire and Rescue Service and SYSRP Road Safety Officers. Sessions take place at the Lifewise Centre in Hellaby monthly on Tuesday evenings from 6:30pm during the motorbike season. See our events calendar for dates; or find them on the SAM calendar page. Our interactive training base provides a unique experience, combining classroom and practical scenario aspects to the session. BikerDown! South Yorkshire is open to individuals, both riders and pillions, groups of friends or riding clubs, up to a maximum of 12 attendee’s per session. If you would like to group book then please drop us an email, or fill in this form. BikerDown! South Yorkshire is entirely FREE and everyone that completes the session will receive a certificate of attendance and a road-safety pack. ← Can you help riders with a disability? © 2019 Sheffield Advanced Motorcyclists.